TT Web Pro powered by Trading Technologies data technology is a new ultra-low-latency software-as-a-service (SaaS) trading platform that offers a streamlined, go-anywhere trading experience for professional traders. It’s built on an all-new scalable open architecture that enables both TT and end users to innovate and respond to changing market and customer needs with unprecedented speed and efficiency. TT gives you the freedom to view and trade the markets from virtually anywhere via desktop, browser, or smartphone apps. The new open architecture allows for a variety of front-end clients. Multi-monitor desktop setups, Windows, Mac OS and Android phones are already supported with the potential and intent to support other devices based on user demand. 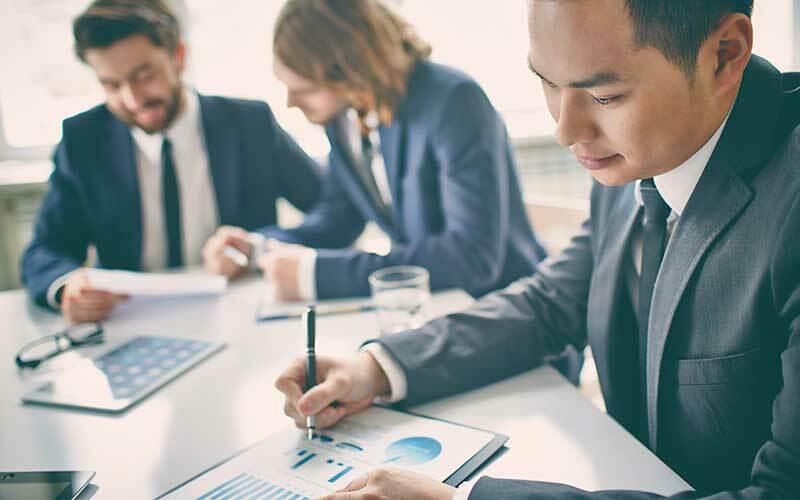 TT’s global, redundant, scalable infrastructure covers the world’s major financial centers, with co-location facilities located close to the exchanges, putting you in the middle of the markets even if you’re thousands of miles away. TT is powerful, yet easy to use. It only takes minutes to create your account using web-based risk and administration tools. There’s no software to download or install for you to begin trading so you can begin trading quickly. A web interface with search-based navigation provides a streamlined, easy path to contract discovery and order execution. Quickly find instruments and products with a just a few keystrokes using TT’s intuitive search functionality. 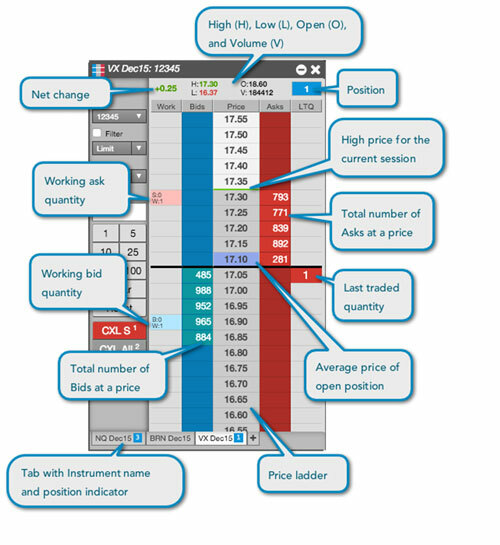 Easily create workspaces using widgets such as MD Trader, charts, Autospreader and more. You can retrieve saved workspaces from any computer, including a desktop or laptop, with TT. What’s more, the open architecture makes it easy to customize your experience, and equally easy for third-party applications to integrate with TT. The solution allows nearly limitless capabilities for business intelligence of trade data recorded from the inception of an account. TT takes charting and analytics to new levels, with sophisticated tools for the high-performance professional trader. Whether you trade exchange-listed or synthetic spreads, you can chart data from any TT-connected exchange. It’s easy to add a chart to any workspace with two clicks on the widget menu or just a single click on MD Trader®. Every chart parameters is completely customizable. Choose from all popular chart stylesand more than 80 technical indicators, then personalize your charts and highlight data with built-in drawing tools. You have the flexibility to create and access charts from virtually any computer as well as Android and iOS phones. All charts can be saved as part of your go-anywhere TT workspace so that when you go from the office to home or from one day to the next, you can quickly pick up where you left off. TT also provides access to Fundamental Analytics at no extra charge. Fundamental Analytics supplies a vast amount of fundamental data and price behavior information in a uniquely intuitive, user-friendly, web-based interface. This powerful analytics package allows users to research and identify trading opportunities by providing the ability to merge fundamental data with price data and to identify cyclical patterns, anomalies, and correlations for outright contracts as well as spreads. View and trade the markets from your Android or iOS phone with TT Mobile, a high-performance, on-the-go trading application designed for the professional trader. TT Mobile extends the robust functionality of the TT desktop application to a mobile device in a form factor uniquely designed for the phone. Unlike most mobile trading apps, TT Mobile was built from the ground up for the professional trader. Everything—including MD Trader®, charting and the “forever” Audit Trail—is optimized to provide both ease of use and security. See where the market is relative to overnight range and check working orders on your morning commute. View the day’s trade history, including all parent and child orders, on your commute home with the TT Mobile Audit Trail. View the last traded price relative to the day’s range at a glance with the horizontal thermometer. Trade out while you’re on the go with a quick double tap. Select “View Only,” “Delete Only” or “Full Trading” to enable or prohibit trading from your phone. Practice your trading or test new strategies in sim mode from your phone. TT Mobile gives you access to both live and simulated trading environments for all TT-supported exchanges. And TT Mobile sits on the same network infrastructure as the desktop application, which means all orders route through the same high-performance co-location facilities to deliver low-latency execution. Built for the aggressive professional trader, our patented industry-standard MD Trader ladder delivers maximum speed, reliability and ease of use for trading futures, options on futures, fixed income, energies, commodities and more. MD Trader is widely acknowledged as the industry-standard ladder for professional futures traders. It revolutionized futures trading 15 years ago when it launched in our first-generation X_TRADER® platform, and it’s evolved through the years to incorporate the most comprehensive array of features for aggressive click traders. In MD Trader, market depth travels up and down the ladder to dynamically indicate market movement. It allows you to easily view prices, then quickly and accurately enter orders in a static vertical display. 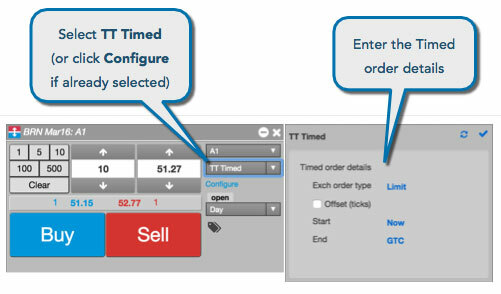 Empower your spread trading with TT’s next-generation Autospreader®. 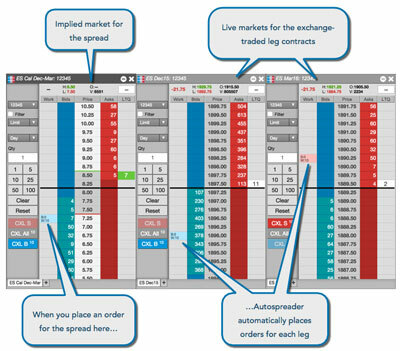 View and trade disparate markets as one with advanced smart order routing. Use Autospreader® to create and trade your own synthetic calendar, inter-product, or inter-exchange spreads. You can define the legs of the spread, then preview the implied market for the spread based on the outright legs. 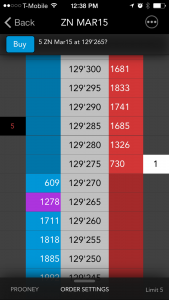 When enter orders in the implied market, Autospreader works the legs to achieve the spread setting parameters. A workspace is an arrangement or configuration of widgets tailored to your trading preferences. 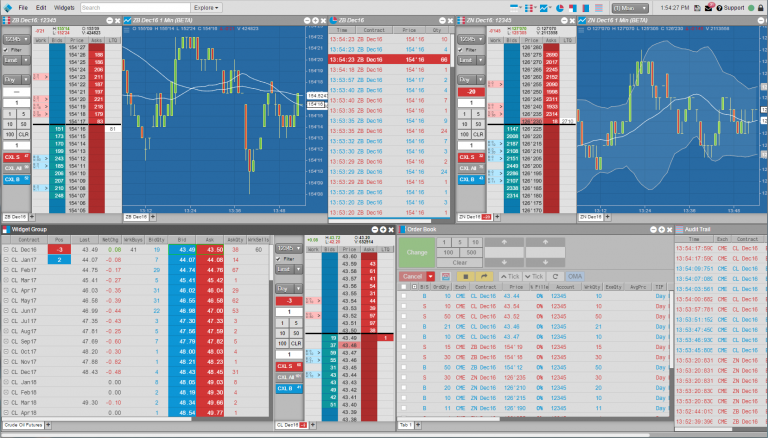 It contains a collection of widgets you use to view market data, enter and manage orders, and track fills and positions. 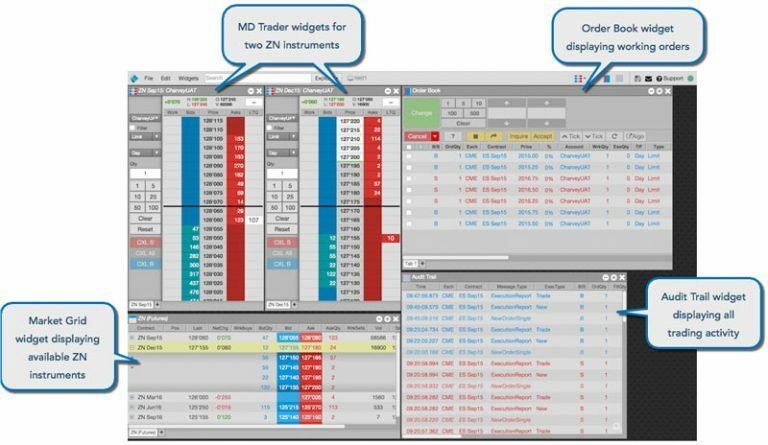 You can create a single workspace for all of your trading, or you can create multiple workspaces with widgets suited to specific trading needs. The Market Grid displays market data for numerous instruments in a grid-like format and gives you the ability to quickly trade any of those instruments with an order ticket. You can organize the display of instruments to your liking by using tabs. 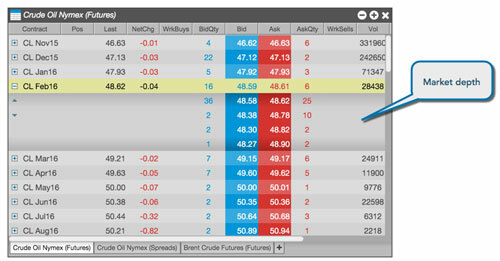 You can also display market depth for an instrument with a simple mouse click.